If you’re feeling your age, guess where you can put the blame? On TV. This is the finding of two new scientific studies. And you know how much My New Old Self relies on those two words “studies show”. 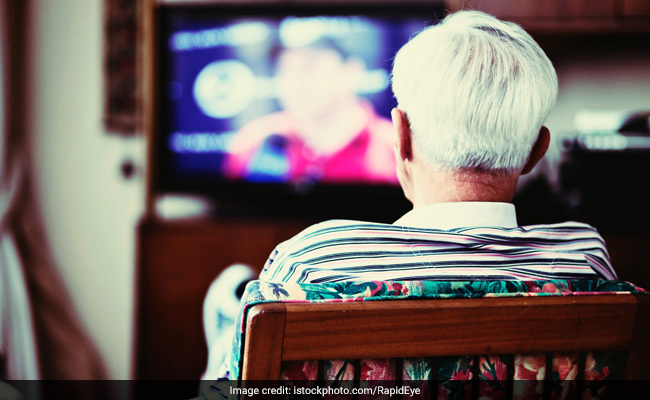 These studies show that television has a negative impact on both the minds and bodies of older people. The University of Southern California’s Annenberg School for Communication and Journalism examined the effects of top rated TV programmes on older people. Researchers studied a year of broadcasts, assessing some 1,600 characters over the age of 60. The goal was to determine the effects of the portrayal of older people on TV on older viewers. These studies show that TV has a negative impact on both the minds and bodies of older people. The University of Southern California’s Annenberg School for Communication and Journalism examined the effects of top rated US TV programmes on older people. 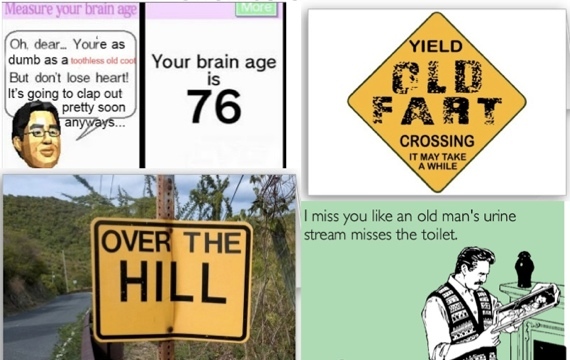 Researchers studied a year of broadcasts, assessing some 1,600 characters over the age of 60. The goal was to determine the effects of the portrayal of older people on TV on older viewers. The university worked together with a US health company, Humana, which surveyed views on aging of more than 2,000 older people. The aim was to understand how perceptions shaped by watching TV affected their health. The paired studies revealed that TV shows are often ageist, which has a negative impact on the self-esteem and confidence of older people. Both their mental and physical health was found to be affected by the attitudes to people like themselves as seen on the screen. We are all too familiar with such stereotypes of older people. They’re forgetful. Their eyes are bad and they’re hard of hearing. They are useful mainly in the kitchen, or to take care of grandkids. Otherwise the geezers on the box are often seen napping – where else but – in front of the TV! Many of the ageist comments in TV shows come from younger characters talking to an elder. But even more of these anti-elderly lines were found to be self-deprecating comments from older characters themselves. Unsurprisingly, when the comedy and dramas were by writing teams that included an older person, the researchers said there was less ageism in the dialogue. Also unsurprisngly, a small minority of TV writers were over 60. “This study speaks to the need for increasing older storytellers behind the camera who can create more authentic senior characters on screen. Dr. Smith’s team discovered that older people who experienced ageism while watching TV experienced more unhealthy days, both mentally and physically. Television has historically taken awhile to respond to changing demographics, in terms of representing a diversity of characters, much less offering good role models. What to do about the ageist assault from our screens? A solution suggested by the researchers was for the older crowd to try and cultivate a more optimistic mindset. This is because those older people who describe themselves as optimists were found to feel better about their overall health and well-being, even in the face of TV’s ageism. The Humana survey revealed that older people who regard themselves as optimists actually feel younger. How much younger? The scientists measured it: 12.5 years less than their age, on average. The study found that older people were three times more likely to have trouble walking as they aged if they watched more than five hours of TV per day and did less than three hours of physical activity per week. Wait, surely young people are worse off? While most don’t own TVs like we do, they binge-watch episodes of series on their devices for hours. Even entire weekends. But Dr DiPietro explained that the youth are less susceptible to the damages of physical inactivity than their elders. Now I’m waiting for the follow-up study. On whether you still incur the same damage if you end up snoozing through all those ageist shows.